What’s On | The Royal Society for Asian Affairs. The RSAA has a varied programme of lectures and social events, many of which are free for members. WHAT’S HAPPENING AT THE RSAA? The RSAA hosts free lectures for members every other week during term time. Lectures typically take place on a Wednesday in a Central London location, and if the lecture is at 1.15pm it is preceded by an optional buffet lunch. Wine is served before evening lectures. In addition to the lecture programme, there are also a number of social events where members and their guests can meet others with similar interests. Although a printed calendar is sent out to members, dates and venues are subject to change and additional events may be added to the calendar at short notice. It is therefore advisable to check this online calendar for the latest details. 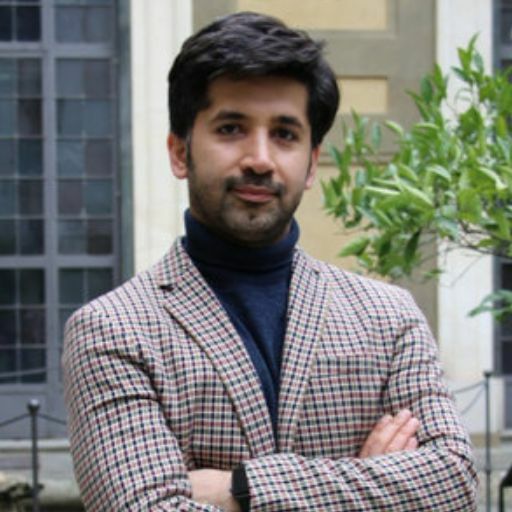 Dr Afshin Shahi is a senior lecturer in Middle East politics and International Relations at Bradford University. He obtained both his MA and Ph.D. from School of Government and International Affairs at Durham University. Prior to joining the Department of Peace Studies and International development in 2013, he worked at the universities of Durham and Exeter. In 2018 he was a visiting research fellow at the European University Institute in Florence. He is a multilingual scholar and his research interests encompass sectarianism and the politics and security of the Middle East, with a particular focus on political Islam. His articles have appeared in scholarly outlets including the Middle East Journal, the British Journal of Middle Eastern Studies and the Journal of the Royal Society for Asian Affairs. He is the author of the Politics of Truth Management in Saudi Arabia (Routledge,2013) and the co-author of a forthcoming book, Iran: the Shia State and the Sunni Minority. He is a council member for the British Society for Middle East Studies as well as associate editor of the British Journal of Middle Eastern Studies. He is a regular contributor to national and global media outlets including the BBC and Aljazeera. His opinion pieces have appeared in various publications including Forbes magazine, Foreign Policy magazine, and Conversation. He also actively works with both practitioners and stakeholders in his field. In 2017, he was a recipient of the Vice Chancellor’s Award for Outstanding Achievement at the University of Bradford.